By default, OneNote does not allow you to search for words in audio or video notes. Therefore, it can be very time-consuming when you have many audio or video note files and you want to search for a specific one. Luckily, you can configure OneNote to enable this feature. Here is how to do it. 2. Go to File -> Options. 3. 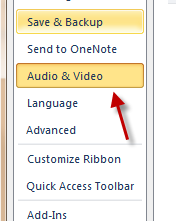 When the OneNote Options window appears, find the Audio & Video section on the left side and click on it. 4. Check the box next to the Enable searching audio and video recordings for words option. 5. After you have checked the box, a new window will pop up. Click on the Enable Audio Search button. 6. 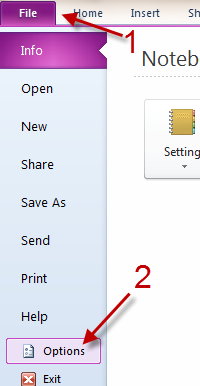 Back to the Options window, hit OK to save the setting. – The files must be in high quality. – The files must be indexed by OneNote. – The files’ language must match OneNote UI language.